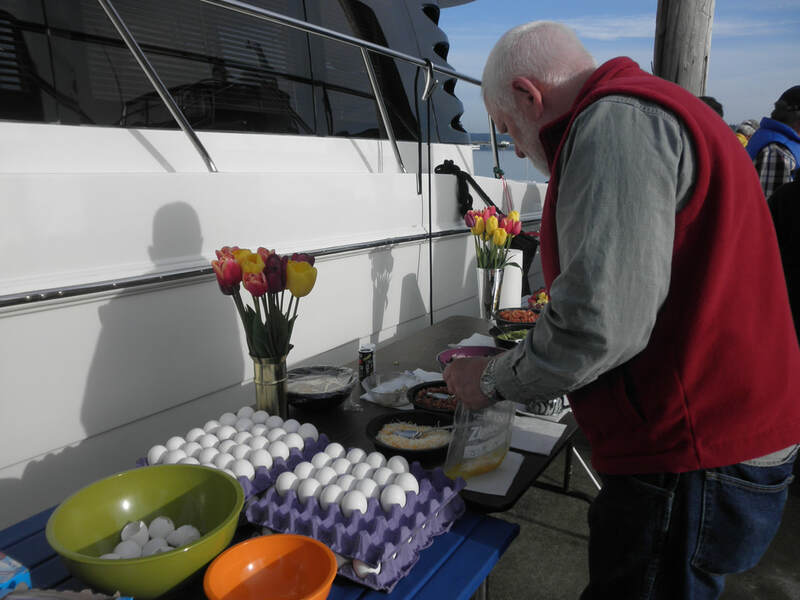 Our members soon become a “family” whose shared passion for boating extend to land-based get-togethers in our newly remodeled Skyline club house. 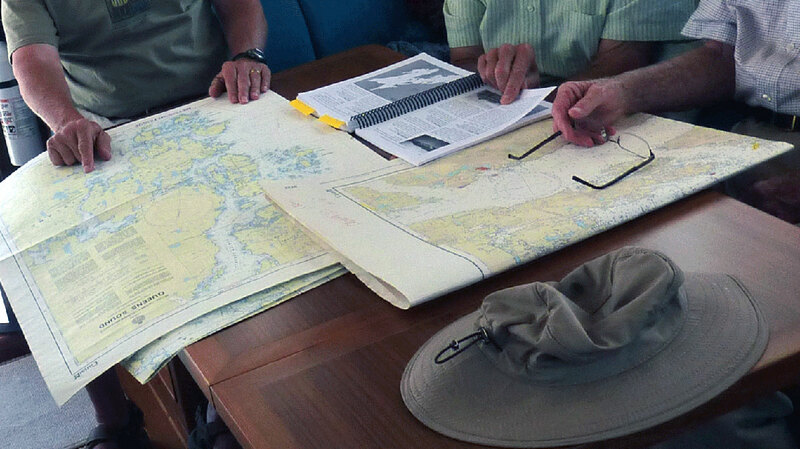 Club cruises, monthly dinners, weekly bar nights and special activities keep us busy having fun and sharing knowledge. 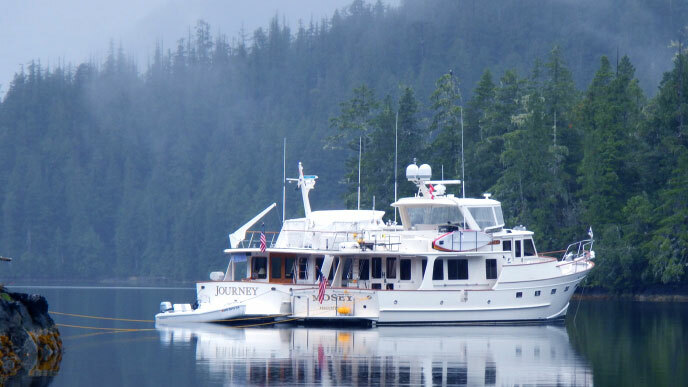 Summertime you will find our burgees flying in the San Juan’s and as far away as SE Alaska. 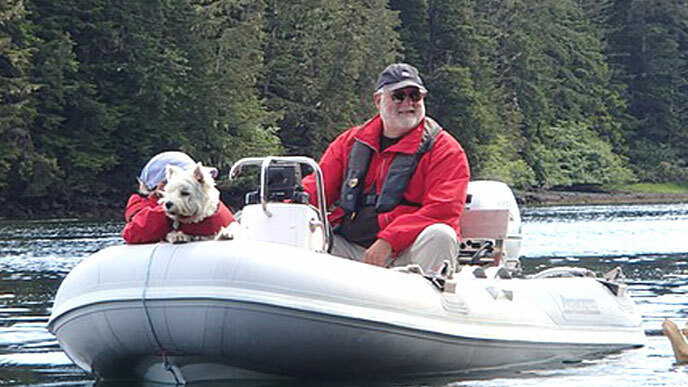 Whether we travel as a fleet or buddy boat with a few fellow members, we take pride in promoting good seamanship, safe cruising practices, and appreciating the Pacific Northwest’s marine environment. 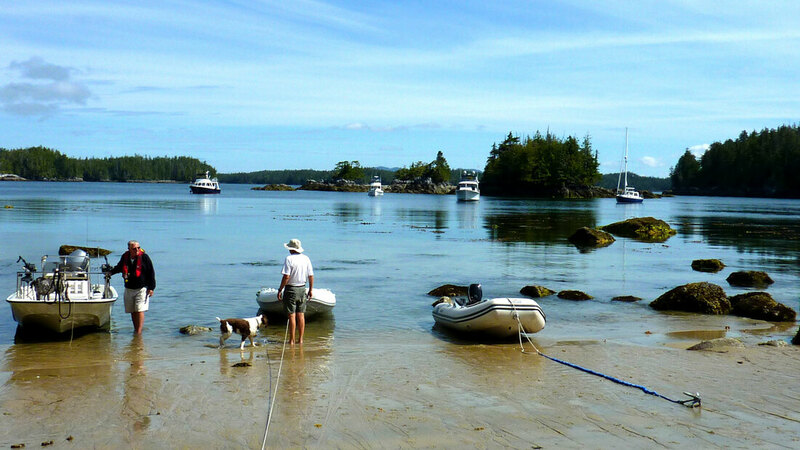 Be sure to visit Our Favorite Places. 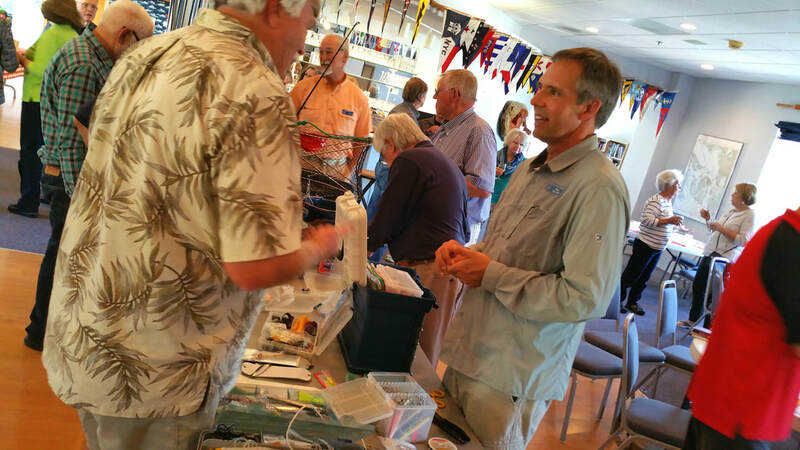 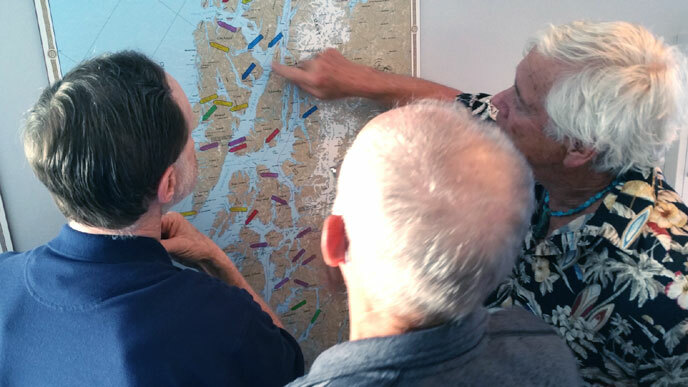 Whether it’s a needed spare part, or suggestions about the best places to anchor, Fidalgo Yacht Club members are happy to exchange knowledge with each other. 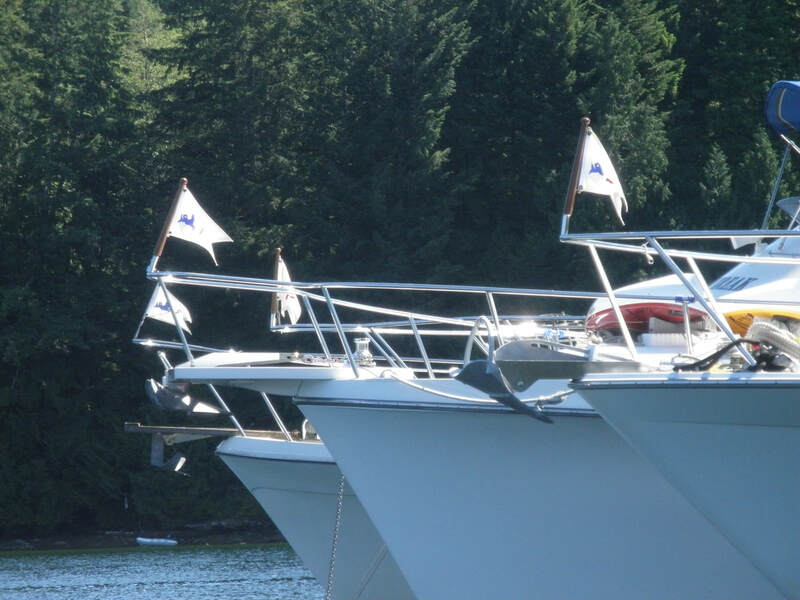 We also share reciprocal mooring privileges with over fifty yacht clubs in the greater Puget Sound and Canadian Islands. 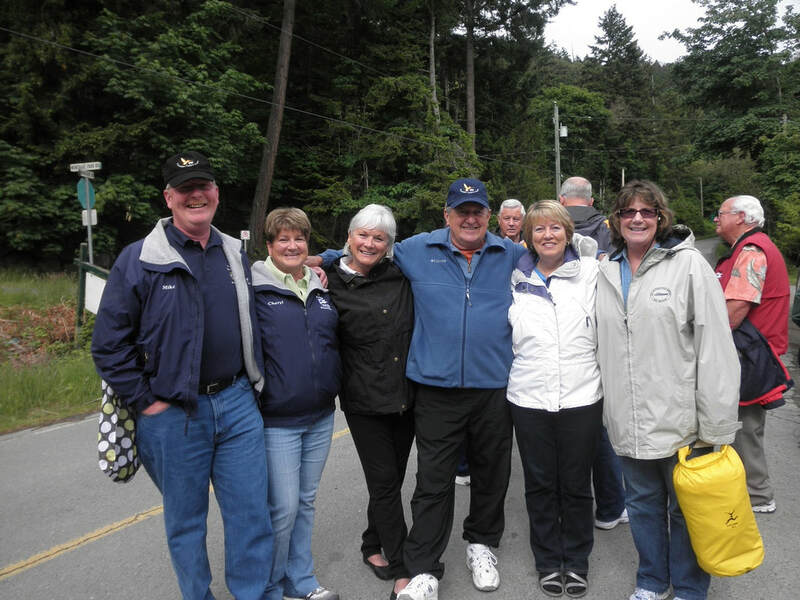 Our newsletter, Poseidon, and our website keep our members up-to-date on cruising and social activities. 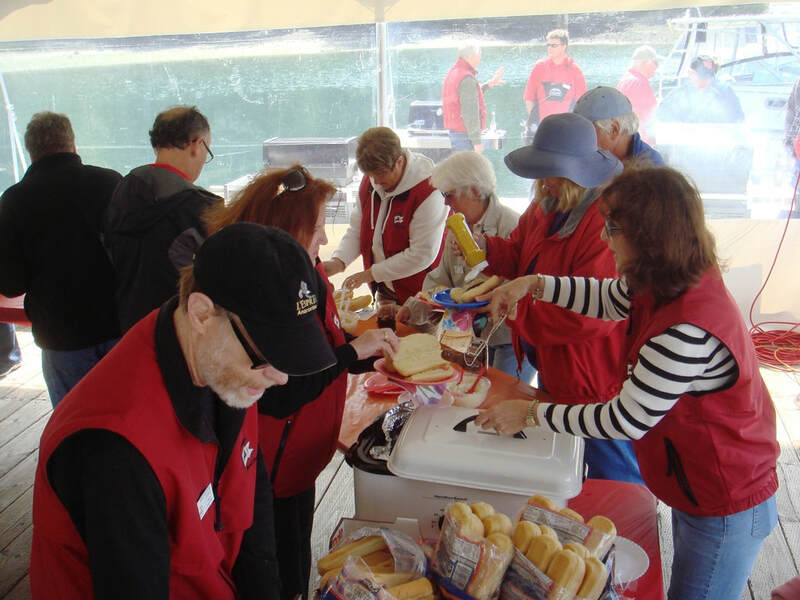 Elected leaders and a host of volunteers plan and carry out every activity. 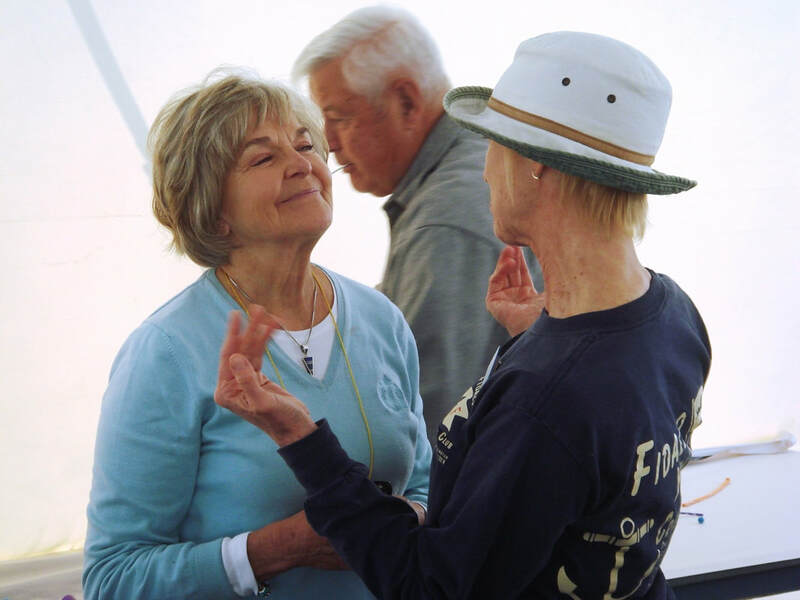 Dinner meetings are held on the fourth Thursdays, August through May. 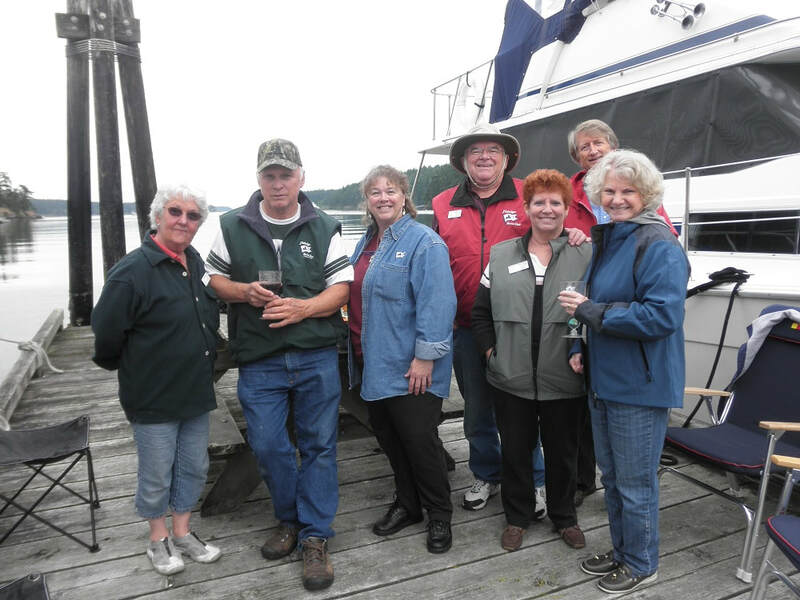 Social Hour - 5 p.m.
Business Meeting and Program – 7:45 p.m.